An amazing place! Took my father when he came down for a visit and we were so impressed. The clam chowder was BEYOND expectation - definitely a New England girl and this is my new favorite soup. They were out of clam strips so we ended up getting the broccoli cheddar bites - throw the rest to the curb, THESE are the real deal. I had the fish basket and he ordered a crab cake sandwich - both were simply perfect! They take care of their kitchen and it shows in how well everything is cooked and prepared; the oil is changed often and it makes a difference you can taste. A++ establishment with the nicest, most efficient staff you could ask for! I really enjoy coming here! The staff is really nice, everyone seemed to enjoy themselves. Crabs are a reasonable price and very good. Very homie type atmosphere. My after work spot to relax and eat crabs and watch tv!!! Only thing better than the crabs was the service! My wife and I were looking for a place to go out and eat crabs for "date night". I asked for recommendations on Facebook and got several. ​Best Maryland crab soup ever. Made without "hot sauce", loaded with vegetables & crab. Everything else we had was good as well. ​The crabs were superb and the service was excellent! The wait was not long at all. I will continue to patronize and recommend Kahler's Seafood. Auntie_montauk88- “Excellent Crabs” Excellent place to eat crabs!!! Always enjoyable. Staff is very accommodating. Other food items are also good. LordThomMohr- “Kahler's Crabs are Killer!” My wife and I had not had any crabs all summer and decided to visit Kahler's on Thursday afternoon around 4pm. I had called ahead and the lady answering the phone told me that they had all sizes of crabs for serving in the dining room. At 4pm this was a great time to arrive and beat the dinner crowd. We ordered a bowl of Maryland Crab Soup which was the best I have had in years, Seriously, it was that good. I love to pick crabs, especially the big ones, so we ordered a dozen of the 'Colossal' size. Man, they were Killer! Kahler's really knows how to season and steam crabs. They also have a wonderful menu with a whole lot of seafood platters and more. And, you can bring your own beer, and they will give you crushed ice for keeping it cold. Kahler's is the best crab house around. Don't take my word for it. See for yourself! ﻿Beauty M- AMAZING!! Hands down one of the best crab places I have ever visited. 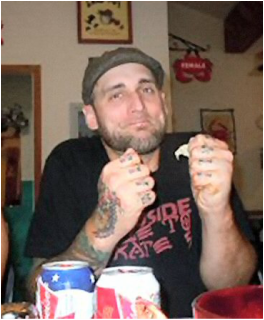 The crab cakes were the best my family has ever had. The crabs were HUGE! We got a dozen extra large and could barely finish them. ... The ice cream was SUPERB!! Homemade ice cream was absolutely the BEST ever! If you go to Baltimore, you MUST stop there. Bob D- Only thing better than the crabs was the service! Jürgen H.- Best crabs , friendly service, great evening. It was our first time visit recommended by friends and we will definitely come back for more. Bev R.- Hands down the best crabs we've enjoyed all year. Would give Kahlers 5 Stars. 1) It's a tiny Mom & Pop crab house. They're built for crabs...tables are lined, they've got buckets for the empty shells. The crabs are DELICIOUS and hot and juicy when they bring them out. 2) The price. These are the lowest prices I've ever seen for crabs in Baltimore. If you go to a big house like Costas, you'll pay around $60 for a dozen mediums. Here, you can get a dozen mediums for less than $30. They also have specials...so if you buy 3 dozen, you can get it for a discounted price. I am now responsible for picking up the crabs at the annual family feast b/c the price is so right. 3) Food in general is good. nothing too fancy. Their crab cakes are legit. 4) Homemade ice cream! Get the butter pecan. Linda Herring Black- THIS PLACE HAS THEE BEST CRABS EVERRRRRR. LeAnne Shuler- Never had bad crabs there. Staff very friendly and crabs come out hot. Be sure and ask for the feast,dozen crabs,lb of shrimp and 2 ears of corn. James Kaetzel- Great place for crabs, and the waitress was awesome. 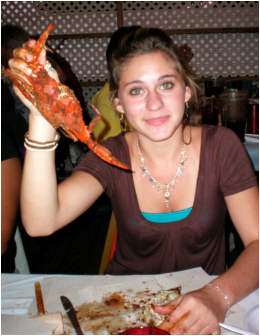 Helen Miceli Pazdziorko- U guys have the best crabs in town I love crabs I could eat them everyday. 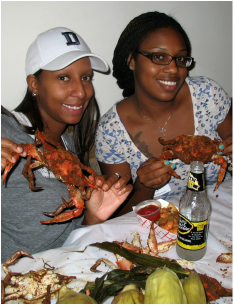 Pat Sullivan-Gordon- ...the BEST fried hard CRABS in BALTIMORE. Dina Naff‎- I love this place. You guys are so reasonable, always have great crabs and great service. Mary Williams- I love Kahler's crab house. Mike Peck- The good is fantastic crab,corn,shrimp,crab soup and crab cakes. Recommend anyone to go there, you'll love it. Mary Suzanne- Your crabs are the BEST! Please don't change a thing. We look forward to treating ourselves at Kahler's! Donna Sue-Conway Marzola- Love you guys, been the best& around longest, um, Softcrab sandwich.